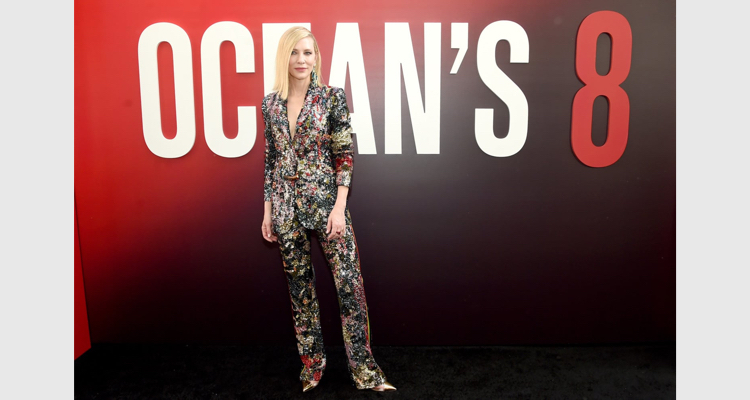 The much-awaited Ocean’s 8 movie premiered on June 10th, 2018 and we are as excited as everyone else. 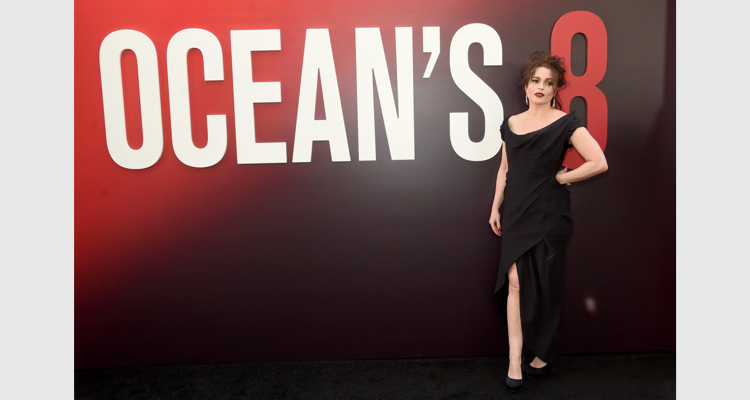 With an all-female lead cast, the Gary Ross-directed sequel is a gender-flipped redo of a boys-club franchise, Ocean’s 11. 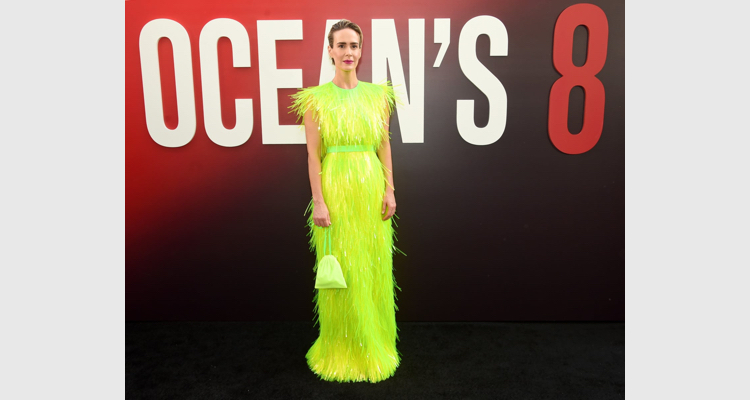 Like it’s earlier version, Ocean’s 8 is a heist movie and stars the leding ladies from Hollywood like Sandra Bullock, Cate Blanchett, Anne Hathaway, Mindy Kaling, Sarah Paulson, Helena Bonham Carter, Rihanna and Awkafina. At the premier the lead star cast appeared in all their glory, having a lot of fun. Each one of them looked as stunning as ever and stole the show as much as the movie itself. In the movie, Sandra Bullock plays Debbie Ocean, the estranged sister of Danny Ocean, played by George Clooney in the previous movies. After bring released from prison, Debbie assembles an all-female gang of experts to steal jewels at the annual Met Gala event. 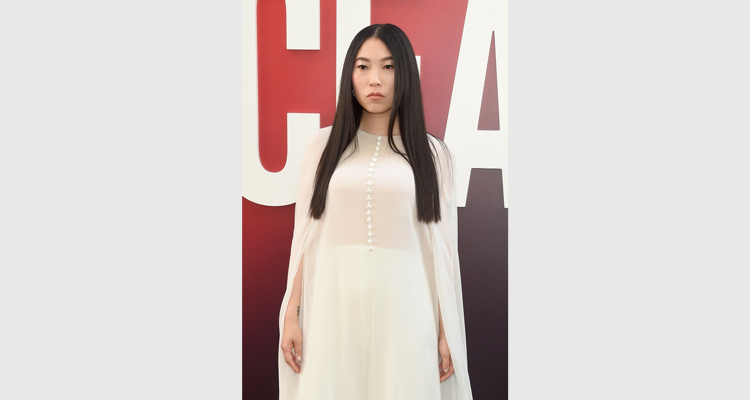 With other big names like Anna Wintour, Alexander Wang and Valentino Garavani, and models Gigi Hadid, Lily Aldridge and Adrian Lima, it was a fashion galore at the red carpet of the movie premier. 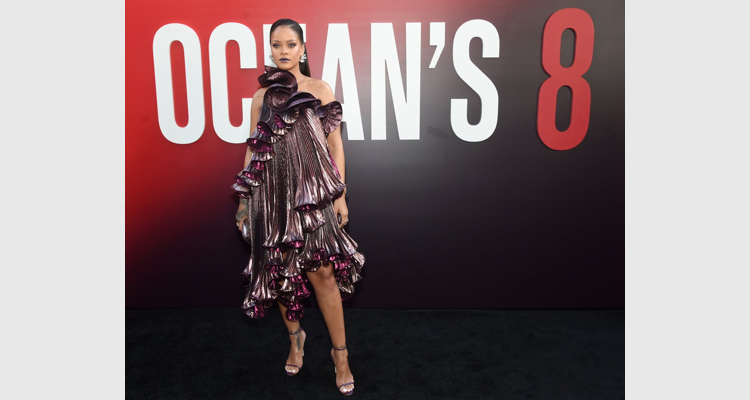 Feast on eyes on the gorgeous leading ladies at the red carpet of Ocean’s 8 movie premier.